Germany isn’t just about beer, Oktoberfest, or fairy-tale castles. There’s much more to find, see, and do in the country with a wide array of choices throughout the country. But with tens of millions of visitors streaming into the country every year, are there any “hidden gems” left to discover? The phrase “hidden gem” is mentioned as an overused cliché. Yet, the phrase can be turned over to emphasize the individual letters in “GEMS”. That word is no longer a four-letter burden or curse, because I’m creating an informative and more engaging acronym. I shine the spotlight on places where most arrive by plane – on Germany’s five largest cities. They are Frankfurt am Main, Köln (Cologne), München (Munich), Hamburg, and Berlin. Although it’s impossible to fit my favourites into a handful of categories, I’m listing for each city the following “G-E-M-S”: a Green Space, a place to Eat, a Museum, and something significant or Special. By design, the individual letters also work beautifully in German: Grünanlagen, Essen gehen, Museum, and Sondertipp, respectively. I begin the series in the city of Frankfurt on the river Main. The series begins in Frankfurt am Main, where a vast majority will find their introduction to the country. Frankfurt on the river Main (pronounced “mine”) is not only the primary gateway into Germany; the city is also the nation’s financial headquarters. Some may criticize the city for “non-beauty” and obsession with money to go along with the city’s nicknames “Bankfurt” or “MAIN-hattan”. 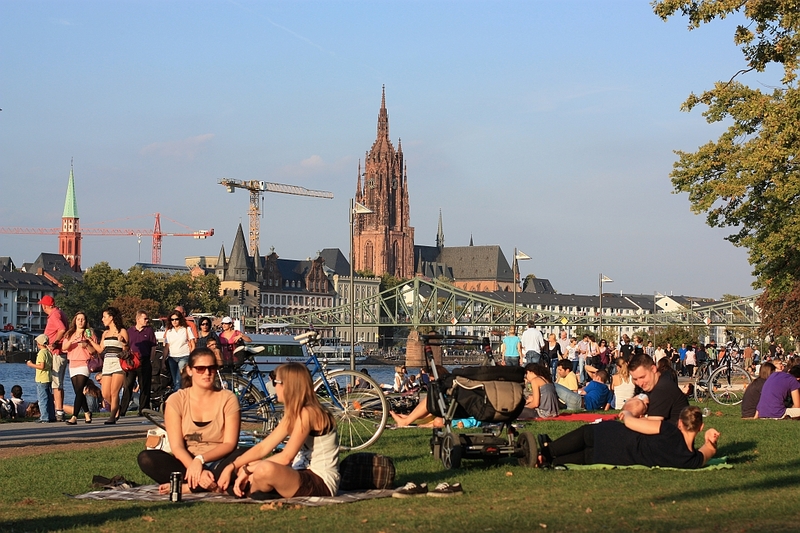 But the people of Frankfurt work hard, and they also take their food, drink, art, culture, and leisure time very seriously. Travelling within the city is easy to do with public transport on S-Bahn, U-Bahn trains, or Strassenbahn (streetcars). You don’t have to go far to escape the hubbub of the city for something a little more tranquil. Along the banks of the river Main, or the Mainufer, are paved walks lined with grassy fields and leafy trees. A walk on the south bank of the Main, or Schaumainkai, produces a view of the tall city towers. In summer, people lie along the river for beer or wine, picnic nibbles, a chat and some laughs with some friends, or a simple snooze on a warm quiet afternoon. Transit stop: S-/U-Bahn Hauptbahnhof, U-Bahn Schweizer Platz, or Tram Stresemannallee/Gartenstrasse. The spread and quality of food at the Turkish restaurant Sümela II are impressive. Start with the appetizer platter with bread (pide), dips, and salads; move next to cuts of lamb or chicken grilled over coals; and finish the meal with sweet Künefe drizzled in honey. We entered the joint as a “tough crowd” with discerning palates. We left extremely satisfied: delicious food, full bellies, happy people. Transit stop: S-/U-Bahn Hauptwache, or U-Bahn Eschenheimer Tor. How do we communicate with each other? 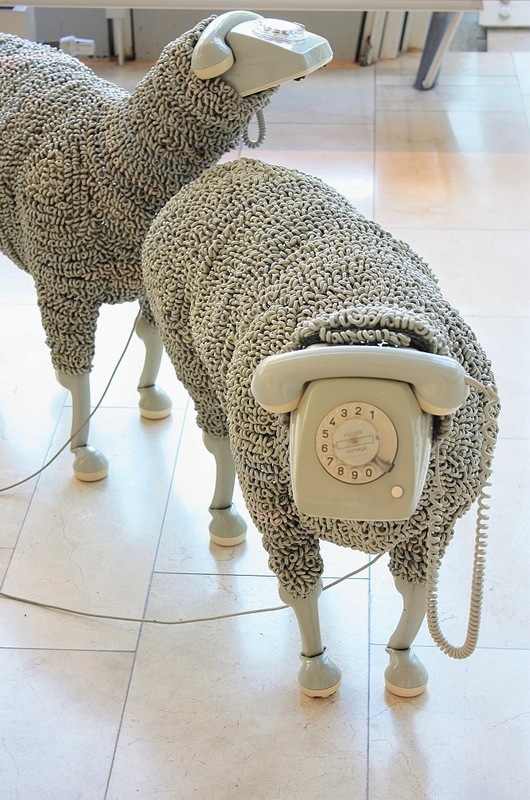 How do we relay messages and news to one another? Do we inform or do we deceive? How have delivery mechanisms changed with time and technology? The Museum for Communication examines these questions from a historical perspective, and challenges visitors with possible answers for present and future. Details: The Museum for Communication. Transit stop: U-Bahn Schweizer Platz, or Tram Schweizer-/Gartenstrasse. The Main Tower with its tall thin solid “candy-cane” pillar has an observation level about 200 metres above ground. It’s uncovered up top and exposed entirely to the elements, and visitors get a complete view of the entire city and surrounding area. 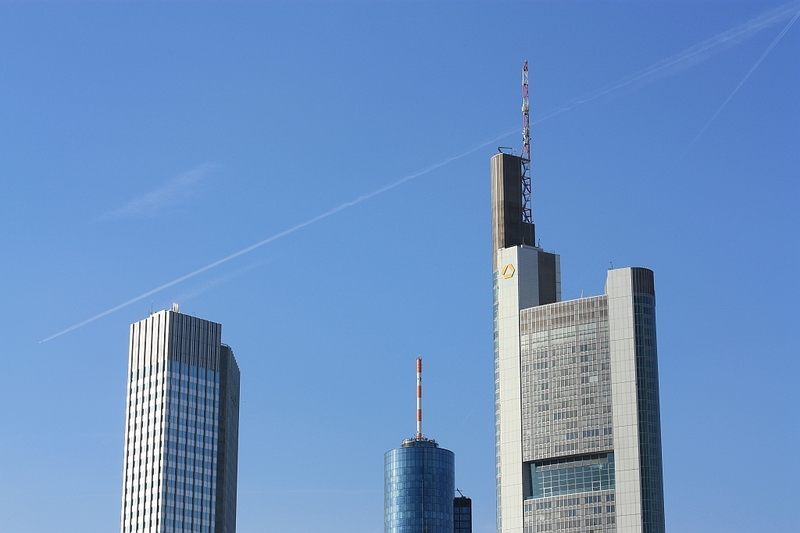 Of all the city’s skyscrapers, the Main Tower offers the only public viewing area, and it’s high enough you can wave across the way at people working in the Commerzbank Tower. That alone is almost better than the view. Transit stop: S-Bahn Taunusanlage, S-/U-Bahn Hauptwache, or U-Bahn Alte Oper. S: Special (Sondertipp) – Main Tower. The Rhein-Main-Verkehrsverbund (RMV) is the local transport authority. Frequent S-Bahn S8 and S9 trains run several times per hour between Frankfurt airport’s regional train station, Frankfurt (Main) Flughafen Regionalbahnhof, and the city’s main train station, Frankfurt (Main) Hauptbahnhof. Additional regional trains supplement travel in the short leg between airport and city. Each one-way trip is under 15 minutes. From other locations around the country, Deutsche Bahn trains to Frankfurt am Main are approximately 4.5 hours from Berlin, 4 hours from Hamburg, 1 hour from Köln, 3 hours from München, and about 4 to 4.5 hours from Paris. Check out the YouTube video, “Backpacker Survival Guide: Frankfurt”, by Mike Corey of Kick the Grind dot TV, for the German National Tourism Board. I made all of the photos above, and this post appears on Fotoeins Fotopress at fotoeins.com at http://wp.me/p1BIdT-48z. I’ve been to Frankfort twice- and didn’t love it. Looks like it is worthy of another chance! Hi, Erik. It can be a difficult city to like/enjoy, given numerous alternatives throughout the country. But I’ve flown in and out of the city “a quhjillion times”, and I’ve been into the city a number of times, and now, I have friends there. I wanted to give Frankfurt a fairer shake, and yes, there are some really cool things out and about the city. Thanks for reading and for your comment! What a great post! Frankfurt is certainly up-and-coming. In the past 2 months, 4 new great restautants have opened up near the main station – it really seems like they are trying to have a makeover on their image. For museum, my favourite one is the Dialog Museum which gives you the chance to experience what it’s like to be blind in a city. I think everyone should go there so we can all be more considerate towards people with disabilities. Hi and thanks, Charlotte! It took some time, but I do like being in and visiting Frankfurt. But wow, 4 new restos near the Hbf! The Bahnhofviertel gets a bad rap, but I’ve stayed around there many times to catch an early morning flight out of the Flughafen. I’ve heard good things about the Dialog Museum: a very interesting idea for a museum, right from the get-go, right at the entrance. What else in Frankfurt are in your list of “G-E-M-S?” Thanks for reading and for your kind comments! Well I’m more about the eating as you know! I think I like Piknicbank, a Moroccan place. It’s very low-key but the food is great. Haha I ALWAYS write about food! Usually every Wednesday. Check the tags on my posts to find them all. D’OH! I’ve been found out! 🙂 Time I read your blog more regularly!